The apartment was clean when we arrived and also all necessary items in the kitchen are available. The location is super close to the beach. We found many restaurants and bars that we enjoyed. The pool of the apartment complex is nice to relax in. We enjoyed our stay. This place was great! Awesome location with a nice and clean apartment! Close to the beach and a bunch of restaurants and bars! The location is excellent and close by the beach, it is also easy to move around with local bus or taxi if you dont rent a car. 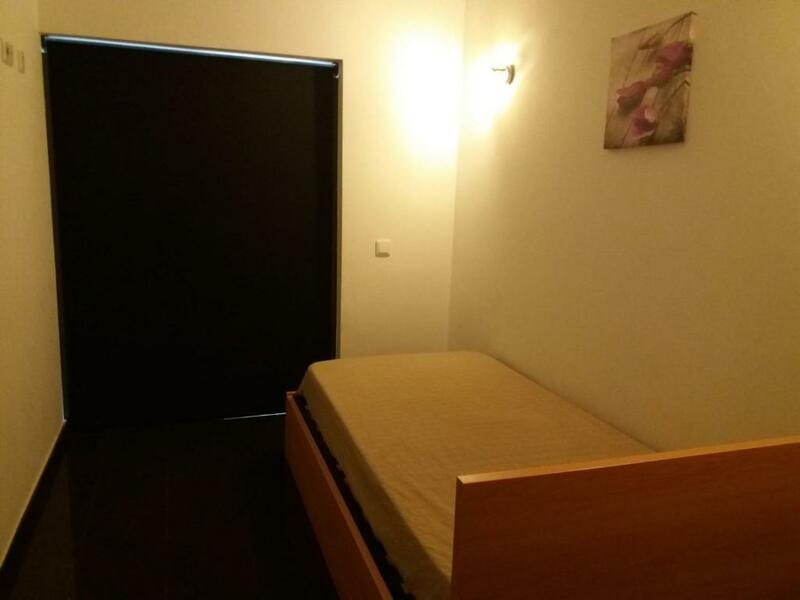 If you have car, underground garage was available as well as normal parking. The host was always available and went above and beyond to answer any questions. Property manager was fantastic, and a pleasure to deal with. One block from the beautiful Praia da Rocha, with everything in walking distance.... tons of restaurants, stores, supermarkets. New apartment house close to the beach. Well-equipped, comfortable with big terrace. Mr. Tiago was very helpful, friendly, flexible. Thanks! Very good location. Good value. Lots of shops. Beach 200m. Very nice views. Great to have a washing machine and dishwasher. Two minutes to beach! Full kitchen saves a lot of money. Spectacular views from the huge balcony. 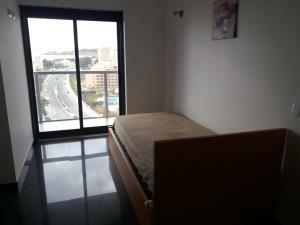 The building is close to the beach and the main road and sea walk with its restaurants and supermarkets; parking lot in the building; concierge 24 hours; good internet connection; well-equipped kitchen and a big bathroom. The host made us feel welcome. These are lovely apartments with all modern conveniences. Very comfortable beds. Great storage. The staff were very helpful and friendly. Plenty of shops, restaurants and bars at your door step. Lovely relaxing pool if you don't feel like going to one of the fabulous beaches which are only minutes away. Great location and very very secure. I would definitely recommend them to anyone. 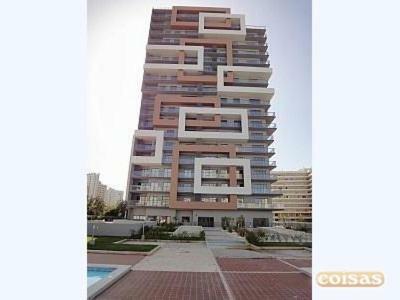 Clean, specious, modern apartment all like in the pictures. 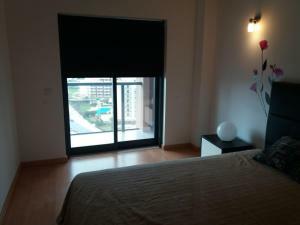 Very good standard comparing to some other apartments we stayed before in Portimao. Free, underground car park was super handy. Lock in a great price for Rocha Tower Apartments – rated 8.4 by recent guests! 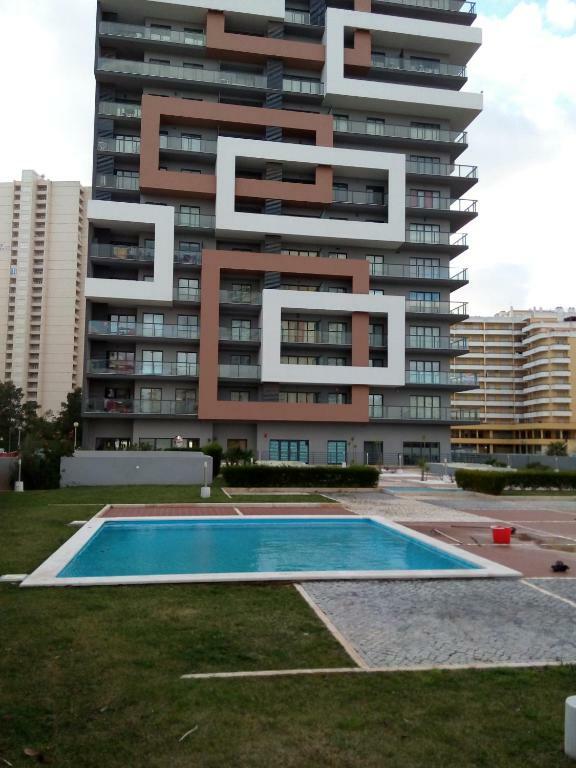 One of our top picks in Portimão.Located 500 feet from Praia da Rocha, Apartamento Turistico Praia da Rocha Portimao offers access to an outdoor pool. 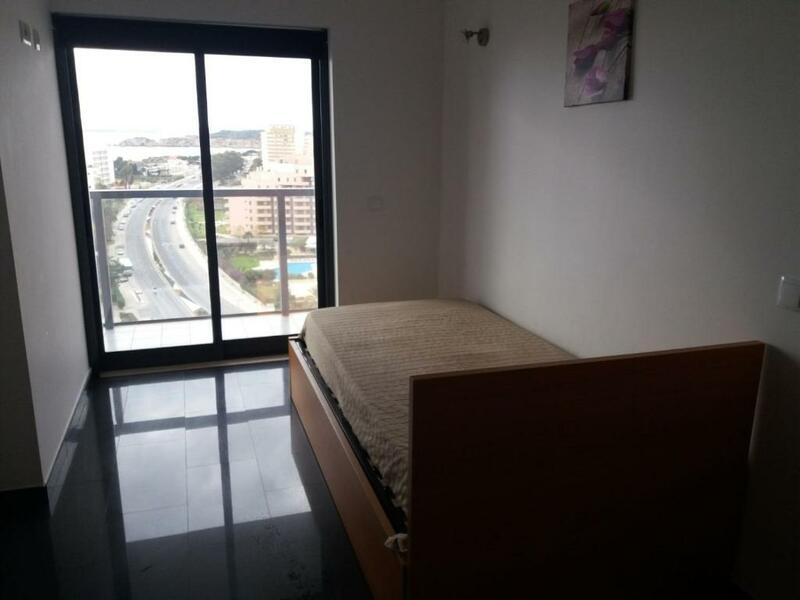 The property is 0.8 mi from Portimão Marina. Accommodations ranges from 1 to 2-bedroom apartments with a TV, air conditioning and a furnished balcony. All are soundproofed. There is a full kitchenette with a microwave and an oven. Featuring a bath or shower, private bathrooms also come with a bidet. You can enjoy city view. Some of the properties have a dishwasher. Free WiFi is provided. 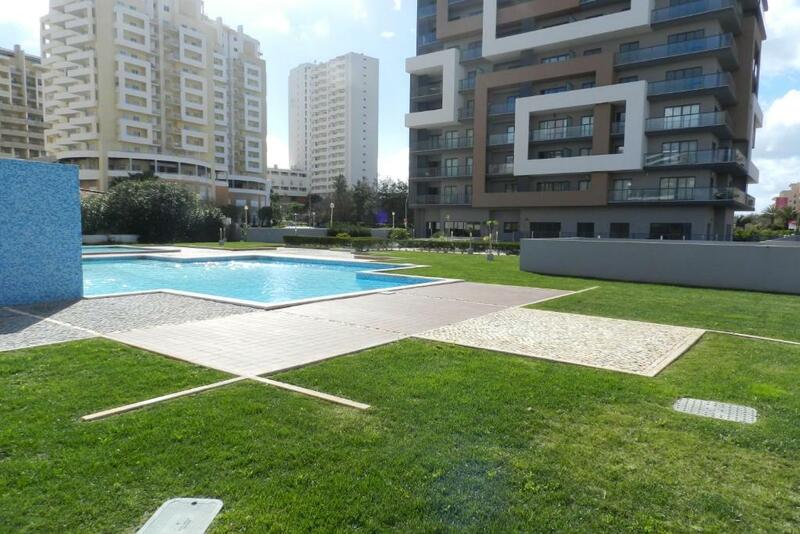 At Apartamento Turistico Praia da Rocha Portimao you will find a garden. Activities in the surrounding area include golfing, cycling and fishing. The property offers free parking. Vau Beach is is 1 mi and Igreja de Nossa Senhora da Conceição is 1.1 mi.Faro Airport is located 39 mi away. 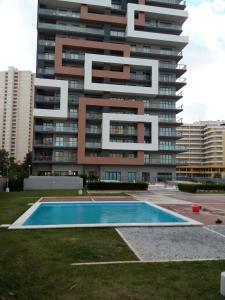 뀐 Located in the top-rated area in Portimão, this property has an excellent location score of 9.2! When would you like to stay at Rocha Tower Apartments? 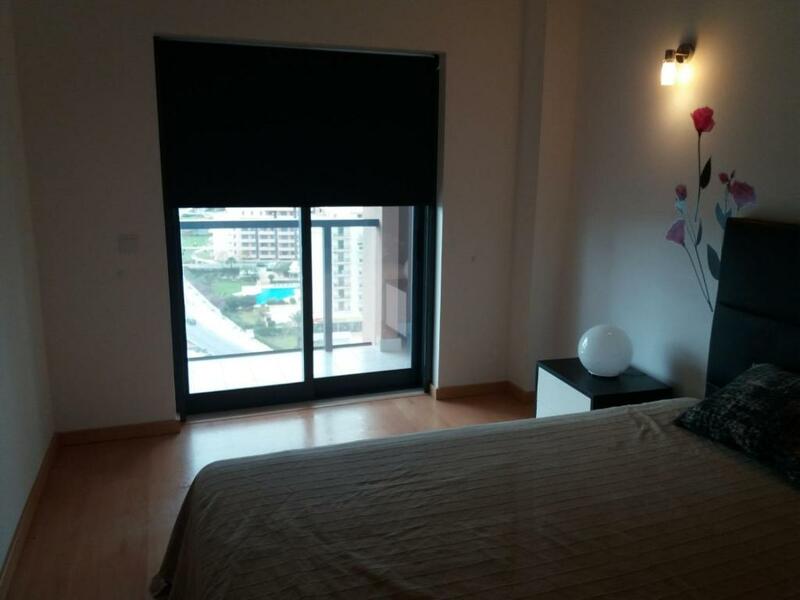 This apartment offers sea and pool views and has a sofa, private entrance and balcony. Coffee and tea making facilities are featured. 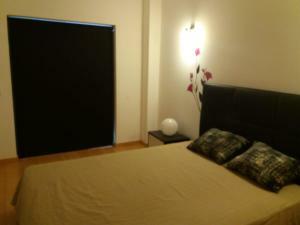 This apartment features a washing machine, a dishwasher, coffee machine, kettle, air conditioning and private entrance. It features city and pool views. 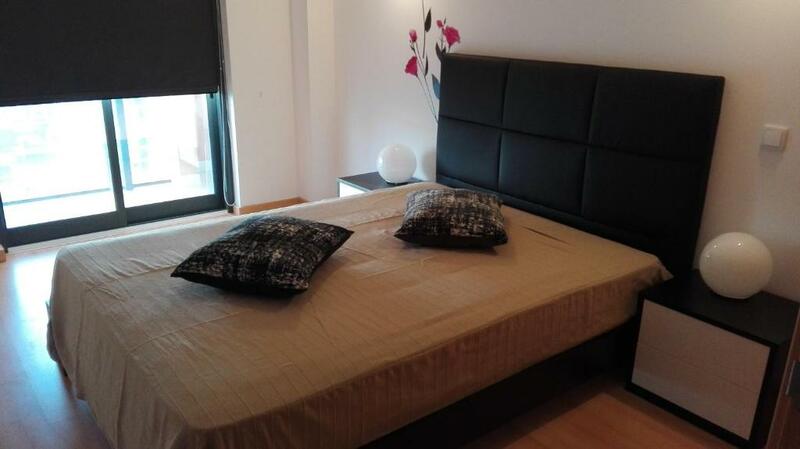 This apartment has air conditioning, kitchenware and private entrance. This apartment has a seating area, balcony and microwave. House Rules Rocha Tower Apartments takes special requests – add in the next step! Rocha Tower Apartments accepts these cards and reserves the right to temporarily hold an amount prior to arrival. Please note bed and bath linen are not included in the room rate. Guests can rent them at the property for an additional charge of EUR 20 per stay. Additional change of bed/bath linen during the stay has an additional cost of EUR 20. Please note that late check-in after 20:00 has a surcharge of EUR 10 that will be charged immediately or later on the credit card. Please note that late check-out after 11:00 has a surcharge of EUR 10 that will be charged later on the credit card. Please note that a mandatory final cleaning fee of EUR 35 is not included in the rate and should be paid at the end of the stay. Please inform Rocha Tower Apartments of your expected arrival time in advance. You can use the Special Requests box when booking, or contact the property directly using the contact details in your confirmation. You have to pay 150e deposit when checking in, in cash, and you won't get any kind of receipt. I even asked for one, but was told there isn't any available. We had agreed that our contact would come at 10.30 am on our departure day for our check-out, but he wouldn't show up, until I phoned in. We left over half an hour behind schedule. I think the whole point was not to show up, so they could just pocket our deposit. I was lucky enough to get my money back. The hotel is a construction site, one of the walls in our room was literally just a paper and the bedding was kind of gross and uncomfortable. It would have been nice to atleast have an adequete amount of toilet paper and cleaning stuff. A little more cutlery and dishes in the kitchen. Perhaps toilet paper and paper towels for the first couple of days. The seat has had it's best time. It needs repair or needs to be replaced. The owner informed me of the condition when we arrived. It converts into the second bed, but it's a hard surface to sleep in. Construction site. Building complex is finished in 50% so from now (2018/06) until next year or even longer, You may hear noises from construction. One bed was broken but I fixed it in 10 minutes. Small parking, so if You have big car, You will have problems. Construction to look at and hear in morning. No chair in the bedroom. I would have appreciated newer bed sheets and towels and more toilet paper and dishwasher tablets, as well as international TV channels.